Saint Lucia, a small sovereign island in eastern part of the Caribbean Sea sharing its boundary with the mighty Atlantic Ocean. 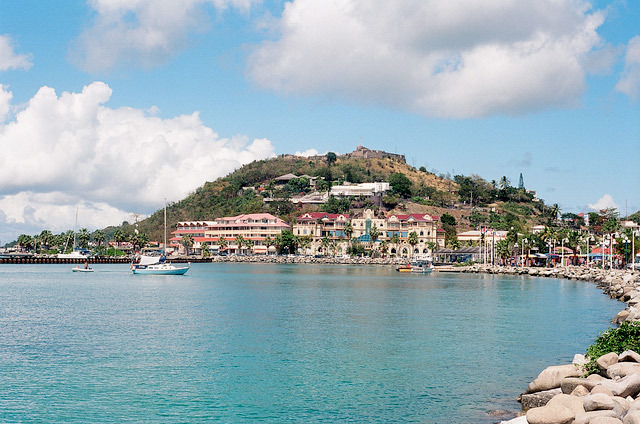 A land with a tropical setting with some of the planet’s best and exquisite luxury beaches, St Lucia generates more than 50% of its revenue from the hospitality sector. It is an island blessed with natural wonders and breathtaking views. It is indeed a piece of paradise amidst the vast ocean. St Lucia is the ultimate destination for couples, newlyweds, families and friends willing to experience some truly memorable moments away from the hustle and bustle of every day life. With more than 20000 acres of natural rainforest this exotic island indeed captures the fantasy of innumerable visitors every year. The island offers both world-class luxury and world-class entertainment for every visitor to the island. Surrounded by crystal clear turquoise water and stunning beaches it is the perfect place to indulge in various water sports from paddle boarding to jet skiing. The beaches also offer an array of sports such as beach volleyball to help you dry off. 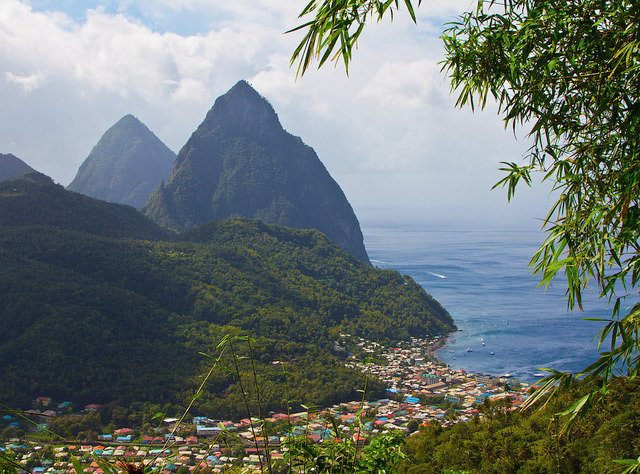 The dominating mountain and its sky high twin peaks Les Pitons offers a once in a lifetime experience of hiking and mountaineering, or just a number of leisurely rainforest walks for the less ambitious. There are so many ways to enjoy this paradise island from horse riding to more static sports like golf and tennis. Every resort and hotel has their own private pools where the tiring mind and body can rest a while. The expert spa services in many of the resorts are sure to rejuvenate you enabling you to continue your adventure. Snorkeling, scuba diving, speedboats and sailing boats are readily available and popular activities enjoyed around St. Lucia. The tropical vistas and the multicolor flora and fauna are sure to make your trip to this island a memorable one. During our stay I was lucky enough to stay the Sugar Beach Resort, a 5 star resort with direct access to a white sand beach. The location of both the beach and resort is breathtaking as it is set within an UNESCO World Heritage Park directly between the mighty Pitons, and the reason why getting a short notice booking is near impossible. The warm and the crystal clear ocean offers you the best snorkeling experience both during the day and even at night. The room rate is inclusive of the breakfast and there are various restaurants and bars to choose from. The personal butler service also ensures that you are treated like VIPs. Built on white sand beach it offers a great menu for all the major meals of the day. The menu includes light lunches, main meals and a selection of cocktails and fruit juices. The lunch hour is between 12:00 and 3:00 pm and the dinner is served between 6:00 and 10:00pm. The Terrace is popular in the morning serving breakfasts between 7:00 and 10:30am. The restaurant is located on ground floor with exquisite view of the Caribbean Ocean and the stunning Pitons as well as a sweet lily pond. The Great Room is one of the most popular restaurants in St. Lucia offering dishes with fresh local ingredients like the scallops, puree of artichokes ten beef and red wine. The fig mash, tropical salsa and Mahi Mahi is a local specialty. The main meal is served in dinner between 6:30 and 10:30 pm. The dress code is formal so don’t expect to see many shorts and t-shirts. The Jade Mountain is a unique example of green architecture. Every suite has a spacious bedroom, private pool and generous living area. This luxury resort offers a wide range of services that can relax your mind, body and soul. This resort is devoid of modern technology and permits no cell phone and other gadgets. Though access to internet is available on request. The Jade Mountain club offers three main meals of the day. The cuisine reflects the season of the island .It offers fusion cuisine to guest throughout the years. Also on the south of the island is the unusual yet high sought after Hotel Chocolat which offers both accommodation and a chocolate filled dining experience. 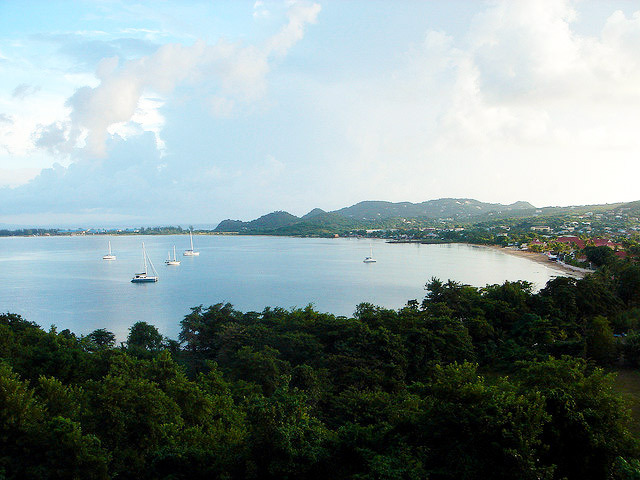 In the middle of the Caribbean, there is an island paradise……..
Fantastic… Saint Lucia is my fave Caribbean island!